Are You Feeling Romantic? Are You Also Feeling Really Lazy? 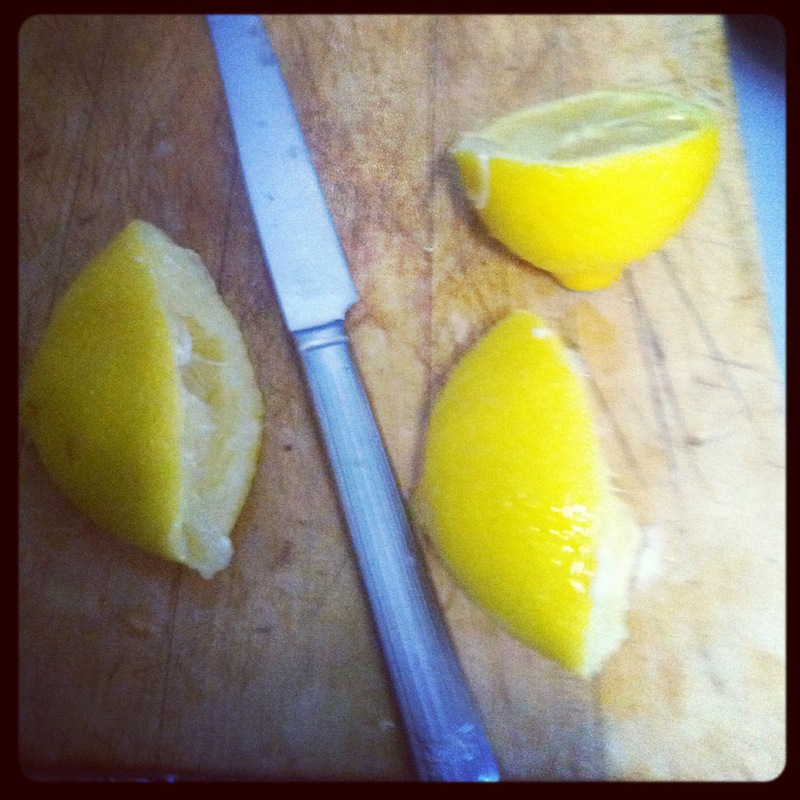 Do You Have Some Lemons? Well Then Can You Get Some? I have been BEAT lately. I can’t even explain why. Well, maybe I can. It’s spring again, finally, which means that we can put our Happy Light away (yes we have one, yes it rules) and I can look forward to at least three months of swollen eyelids, multiple sneezes and PEONIES! 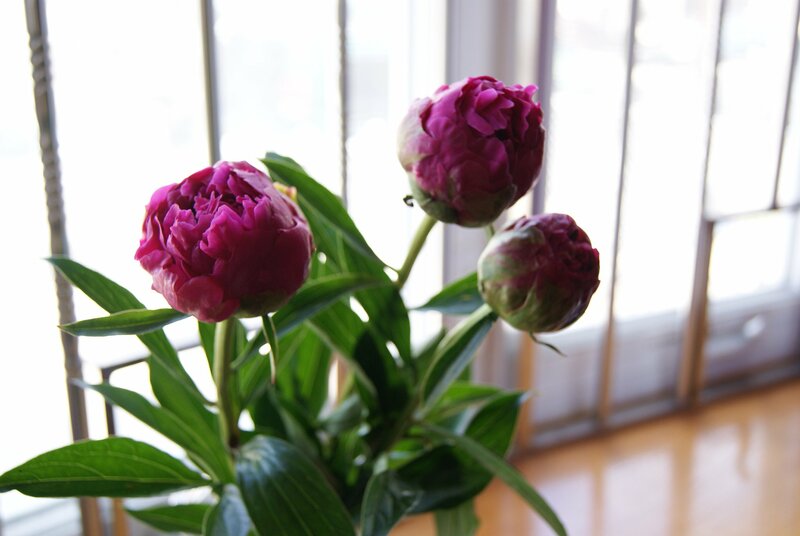 God I love peonies. They almost make up for the two other crappy things that this season will bring me. Sigh. So, even though I am almost completely and inexplicably wiped, mama needs her sugar. Literally, I may actually NEED sugar. In fact, I’ve been thinking of going on a week-long sugar strike just to see how dependent I am on it. I told my boyfriend my plan and he laughed at me. Then I laughed at myself and shoved a handful of chocolate into my mouth. It’s all very, very sad. Oh, who am I kidding? No it’s not sad! It’s awesome! I love chocolate, and chocolate loves me. In fact, upon hearing that dark chocolate, my personal favorite, has been proven to reduce the risk of cardiovascular disease, I skipped around the apartment yelling “I’m never going to die! I’m NEVER going to die!” I know I am asking to be crushed by an air conditioner while strolling down 5th avenue or something by saying that. I just hope that AC’s smothered in chocolate. 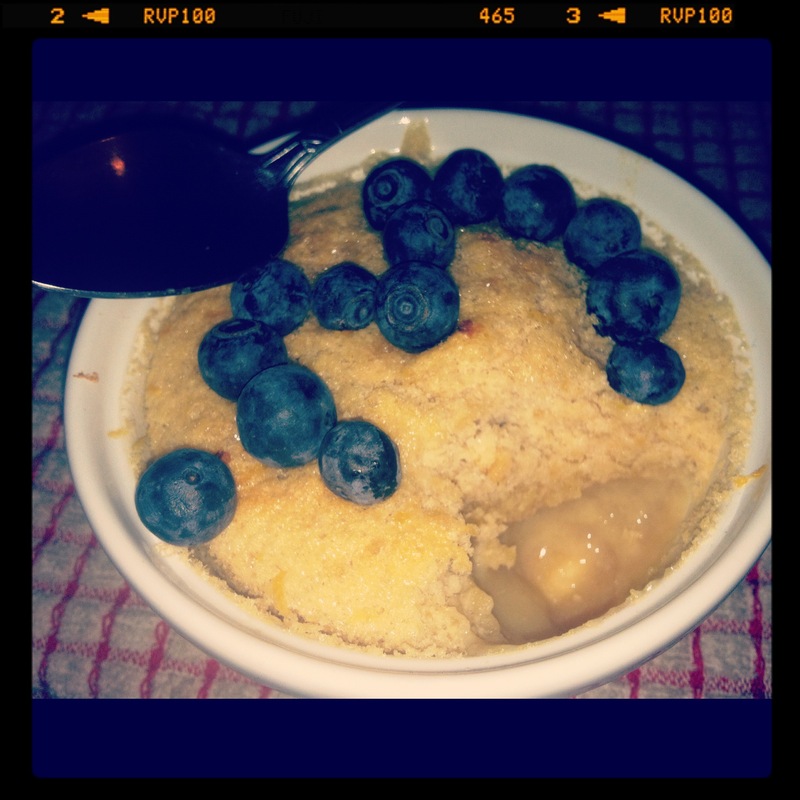 So, while bumming around last Saturday and itching to bake something easy and sweet (duh), I came upon this recipe. Luckily, I like to laugh at suggested serving sizes, at least as they apply to desserts, so I made this particular easy peasy treat in two 6 ounce ramekins. I also made a few other changes to allow for the simplest, most lemony, tangy, fancy pantsy date night dessert. Preheat the oven to 350ºF. 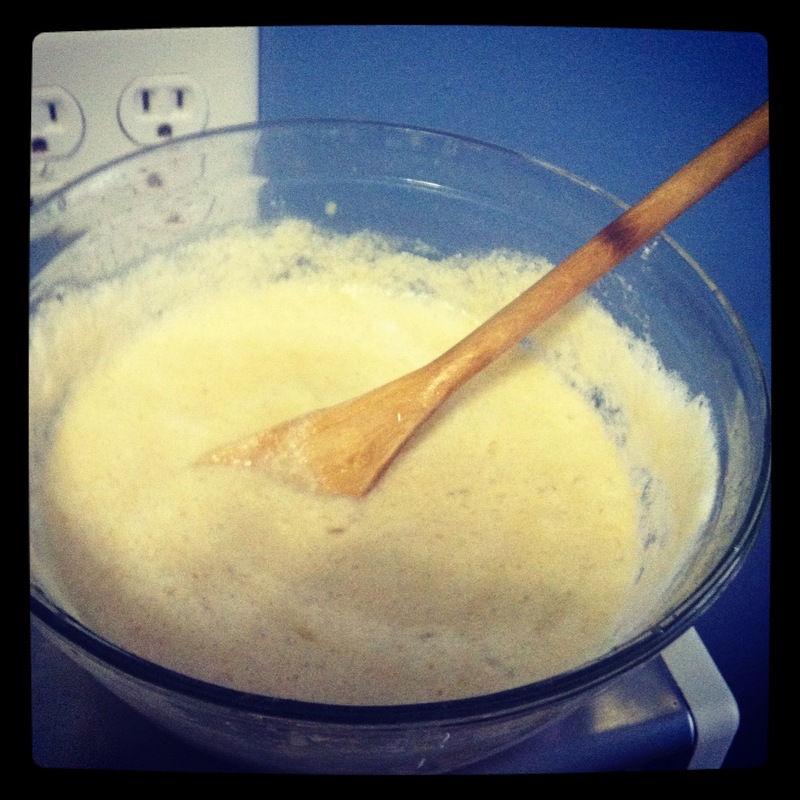 In a large bowl, sift together the flour and sugars, then stir in the butter, lemon juice, egg yolks and milk until smooth. I’d recommend using a hand mixer on medium speed when incorporating the wet ingredients into the dry. In a separate bowl, using your cleaned hand mixer, beat the egg whites on high speed until fluffy and light peaks start to form. This should only take a minute or two. Stir the whites into the rest of the mixture and fold until just combined. Now, I know what you’re saying: Sad Shibow, why do I have to do all that extra business with the egg whites? I’m not trying to have bowls and bowls of dirtiness that I’m going to have to soap and wash later! Well, I say back to you: gosh you’re whiny. Shall I bust out my tiny violin for you? Also, the fluffing of the whites is what allows for the chiffon-iness of this dessert. There. You’re welcome. Divide the mixture evenly between your two ramekins, then sprinkle the tops with a little lemon zest and some sugar. Fill a large baking dish with some hot water and set the ramekins in it. Send into the oven for 30 minutes, until the tops just start to get golden and the mixture barely jiggles when you shake the dish a little. Serve warm or cold. I’ve had it both ways. It’s awesome both ways. Geez. Which cheeseball made those hearts? Ugh. So not adorable. 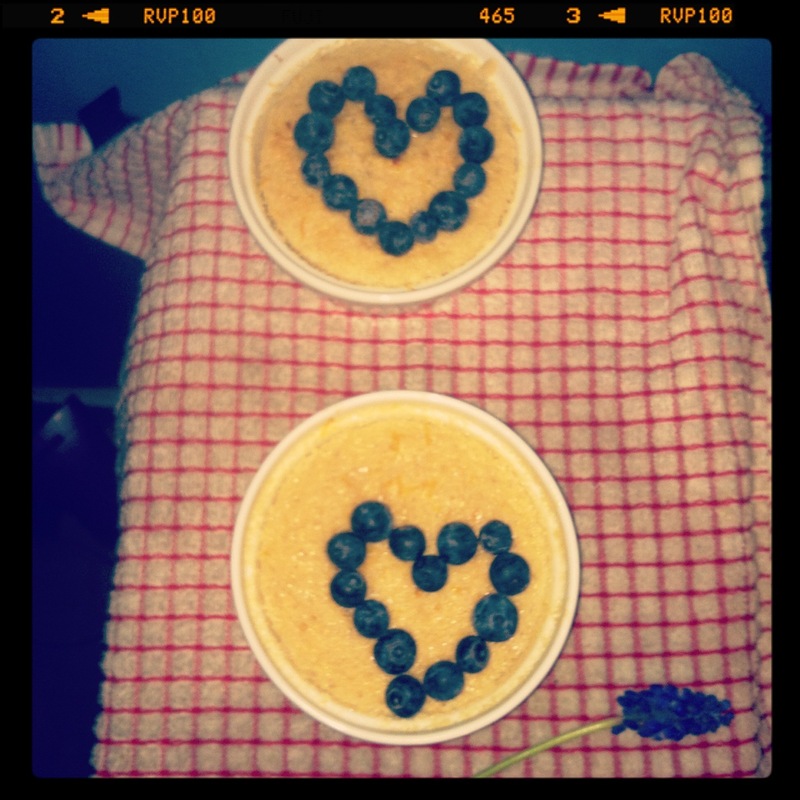 Somehow the blueberries these were topped with formed themselves into a heart. Isn’t that nuts how they just did that to themselves like that? Mushballs. Now, the really wonderful thing about this particular pudding is that it separates while it bakes. The top layer becomes cake-y, and there’s a nice, thick, surprisingly tangy layer of lemon pudding below. These are well worth much more effort than they actually took. Believe me when I say these will be in heavy rotation. Sugar strikes be damned! Yep. I’m a lost cause. ← Got a Toothache? Me Too! Screw That, Let’s Eat Cupcakes.